So many simple twists of fate have made it so these towers can exist how they do. 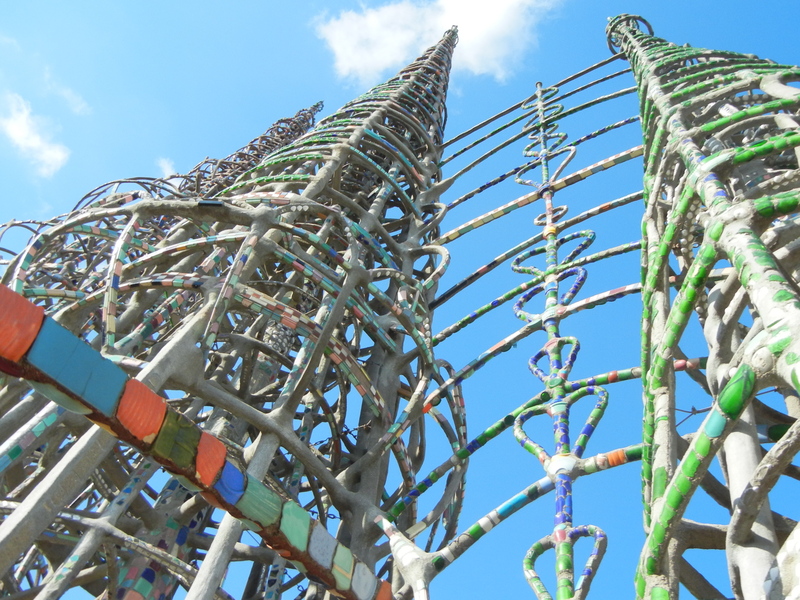 For one, the artist, Simon Rodia, was an Italian immigrant and subsequently forced to build his home outside certain boundaries due to covenant laws. Rodia also wanted to buy a triangular plot of land. He first looked at a plot in Beverly Hills on the corner of Wilshire and Santa Monica Blvds. If there’s any semblance of truth behind Beverly Hills’s reputation for preservation, these towers would have been plowed down years ago. Instead, these towers are now listed on the National Register of Historic Places and are considered a US National Historic Landmark. They’re owned by the California State Parks and managed by the Los Angeles City Cultural Affairs Department. They also receive funding from the National Endowment for the Arts. 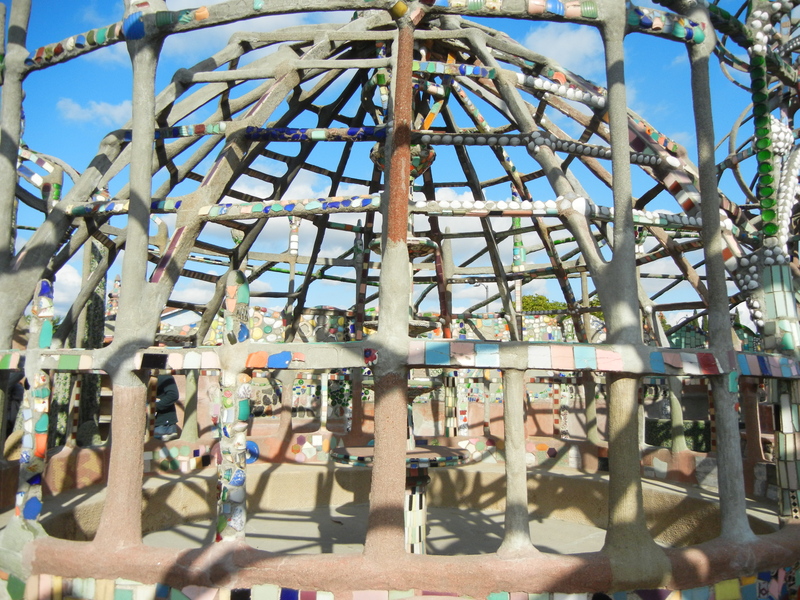 And, after the ’94 earthquake, they received funds from the Federal Emergency Management Agency for repairs. So what is it that makes us memorialize these towers, which, after all, represent a ship sailing back to Italy? 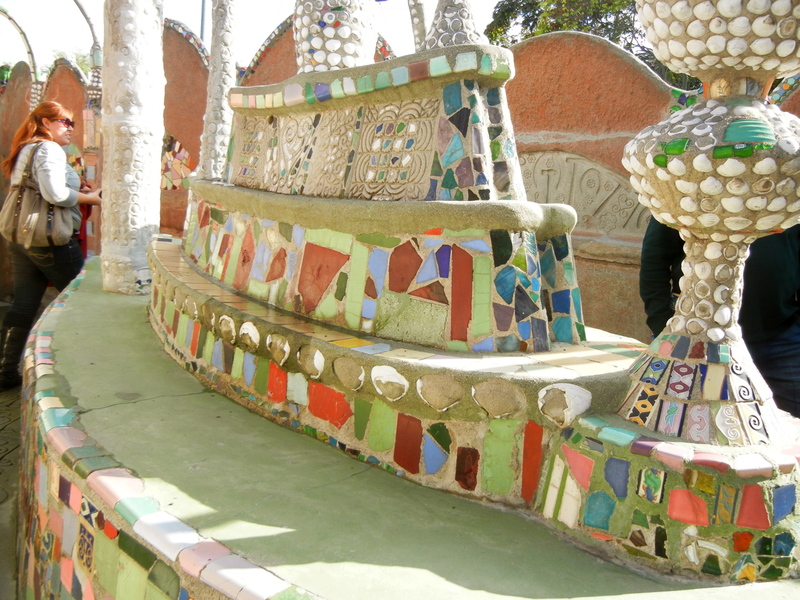 Well, it’s the craftwork of one man who spent 33 years (from 1921-1954) laying rebar, tile, and seashells by hand- over 75,000 seashells, in fact. And while it’s hard to tell out of context, the fact that a monumental art project breaks the static Watts skyline is exceptionally neat. Additionally, something like this could never be recreated. 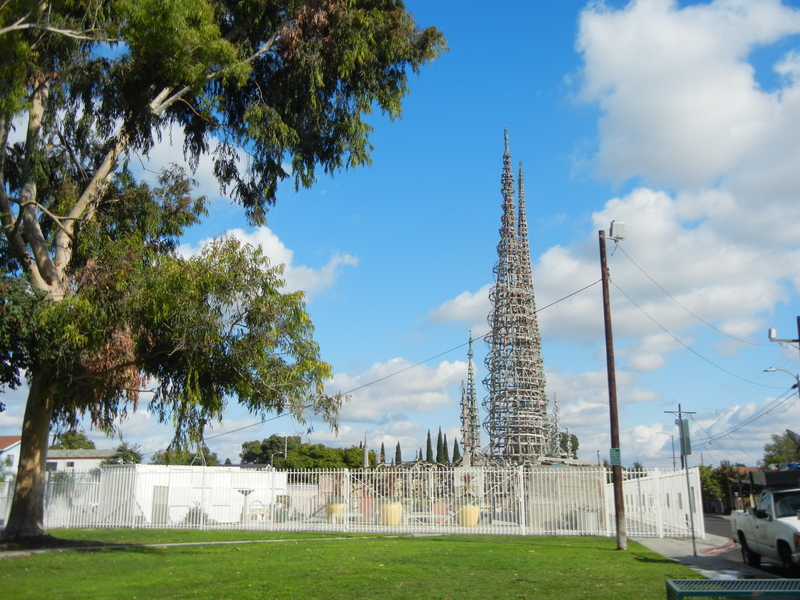 Can you imagine if a wine-out-of-the-bottle drinking bachelor welcomed neighborhood boys to help build a pervasive sculpture in your residentially zoned community in the 2010’s, the way Rodia accepted the help of Charles Mingus in the Watts neighborhood in the 1930’s? The towering lawsuits would certainly overshadow the sculptural towers.